U.S. elections have domestic and global repercussions, and the midterm elections of 2018 are set to continue the trend. If the Democratic party takes control of the House of Representatives, President Trump’s ability to drive actual domestic policy changes will diminish. Will it, however, only increase the rhetorical polarization of the country? Presidents suffering a midterm loss have frequently focused their efforts on foreign policy, will Trump do so, and where? Will Trump seek to raise the stakes in the bubbling trade war with China? 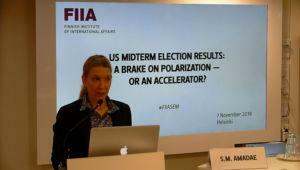 Can European and Middle Eastern leaders benefit from the results of the midterms? Often seen as referenda on the president, the 2018 midterms are, more than usually, a referendum on the (style) of the United States president – will a severe loss infuriate and isolate Trump or fire up his core supporters? 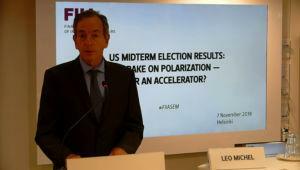 Leo Michel is a Visiting Senior Fellow at the Finnish Institute of International Affairs and a Nonresident Senior Fellow at the Atlantic Council. Michel’s previous government positions included: Distinguished Research Fellow at the Institute for National Strategic Studies; Director for NATO Policy and Director for Non Nuclear Arms Control in the Office of the Secretary of Defense; Deputy U.S. Representative to the U.S.-Russia Bilateral Consultative Commission; analyst in the Central Intelligence Agency; and legislative aide for a Member of Congress. Michel holds a M.A. from Johns Hopkins School for Advanced International Studies and a B.A. from Princeton University. S.M. Amadae is a University Lecturer in Political Science at the University of Helsinki and holds an honorary appointment as an Associate Professor of International Political Economy at Swansea University, Wales, UK. Amadae has authored the books Prisoners of Reason: Game Theory and Neoliberal Political Economy (Cambridge University Press, 2016) and the award winning Rationalizing Capitalist Democracy (Chicago University Press 2003). Current research explores the seeds of illiberal political movements in post-1970s neoliberal capitalism consistent with the Washington Consensus, and also investigates contemporary threats to nuclear security posed by cyber attacks. Charly Salonius-Pasternak is a Senior Research Fellow at the Finnish Institute of International Affairs. 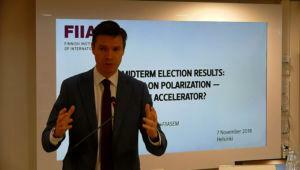 His work at FIIA focuses on international security issues, especially Nordic and transatlantic security (including NATO), as well as U.S. foreign and defence policy. 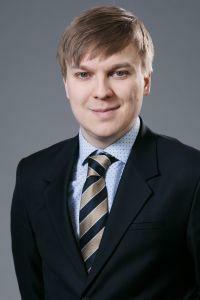 Recently he has focused on Finnish-Swedish defence cooperation and the evolution of US and NATO alliance reassurance approaches in light of the changed regional security situation. In 2017, he was a visiting research fellow at the Changing Character of War programme at Pembroke College (Oxford University), where he studied the hybridization of warfare and the impact of the Information Age on the character of war. During 2009-2010 Mr Salonius-Pasternak served as the international affairs adviser to the senior leadership of the Finnish Defence Forces, and a researcher at J5 (Strategic Planning) at the Finnish Defence Command.